Humans have an interesting relationship with leafy greens. Some, we use for decoration in our homes and gardens. Others, we toss in salad and smoothies, or use as garnish to help assuage our double-cheeseburger guilt. But the humble hop—while perfectly edible and pretty enough to complement the clematis in your backyard arbor—was destined for a greater purpose: beer. The sheer number of hop varieties available can make choosing the right mix a daunting proposition. But once you understand how hops work, when they’re used, and what each type adds to your beer, a list of every single hop variety shifts from overwhelming to awesome. Just How Many Hop Varieties Are There? If you’re new to homebrewing, you may be wondering whether one ingredient warrants an entire list all its own. The answer is yes, because you’ll find roughly 147 hop varieties from around the world. Before you start collecting, though, it’s important to understand what they are, what they do, and how to use them. Grown on a bine—the technical term for a vine that lacks tendrils—the cone-shaped flowers of the plant called Humulus lupulus are packed with acids and oils that bring bitterness and aroma to finished beer. It’s a perennial, which means it comes back every year without having to replant it over and over. That’s a huge bonus in our book if you’re considering growing hops. In addition to counteracting the natural sweetness of brewing malts, they’re also naturally antiseptic. This quality made the hop a blessing for early brewers looking to keep their beer healthy and tasty longer in a world before sterilization. 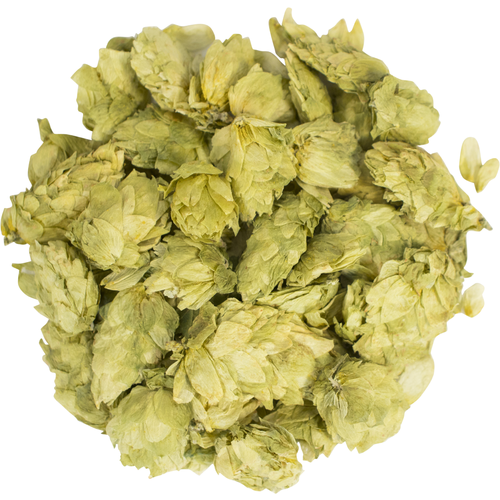 Hops can be added to your wort whole, either fresh or dried. 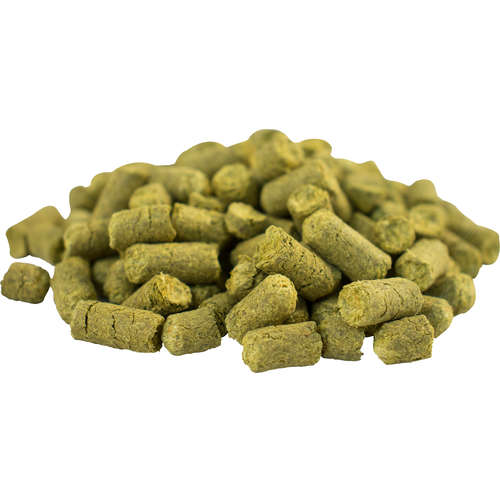 You can also use dried hop pellets If you click this link and make a purchase, we earn a commission at no additional cost to you. . Depending on how many hops you add to your wort, and when you add them, you’ll achieve different results. Added before, during, or after the boil, hops will release into your wort the volatile compounds responsible for bitterness, flavor, and aroma. The specific compounds of interest to you as a homebrewer are alpha acids, beta acids, and essential oils. You can think of these chemicals as the Three Musketeers of beer bittering. The three most important alpha acids—Humulone, Cohumulone, and Adhumulone—are slowly transformed into what are known as iso-alpha acids as the wort boils, giving your beer a sharp, bitter taste. This transformation process is called isomerization, and refers to the transformation of one type of molecule into another made up of the same components, but in a different bonding arrangement. Alpha acids are also responsible for the antiseptic qualities of hops. 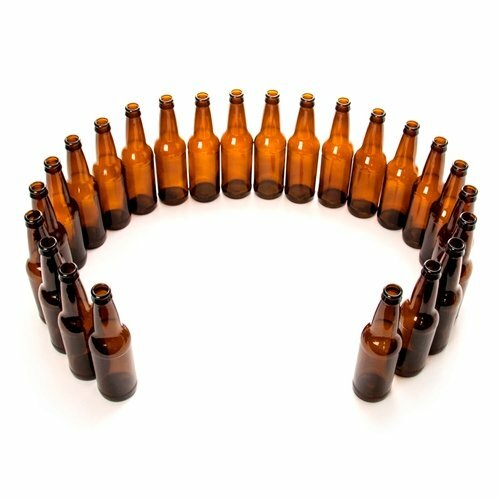 In days of yore, beer makers had to rely on very high alcohol levels to make beer shelf-stable and safe. 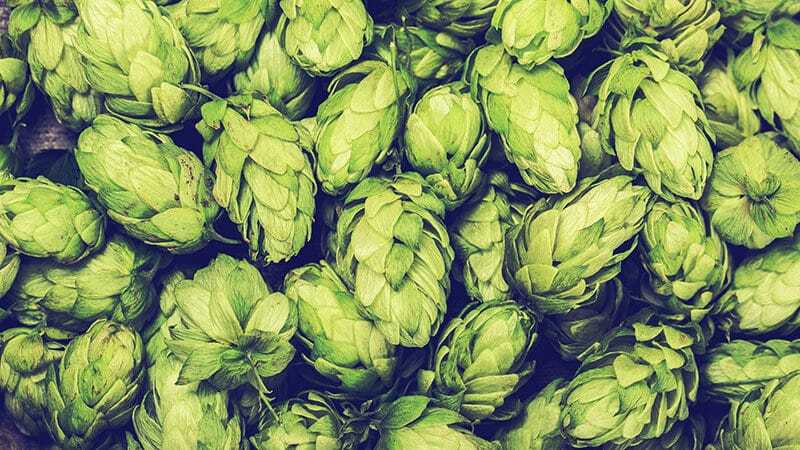 Adding hops not only killed off contaminating bacteria that caused illness and funky flavors, but also created a healthier environment in the wort for yeast to grow and ferment efficiently. Talk about a one-two punch! Bitterness contributed by the alpha acids in hops is measured on the International Bitterness Unit (IBU) scale. One IBU is roughly equivalent to 1 milligram per liter (mg/l) or 1 part per million (ppm) of iso-alpha acids. W is the weight of hops added, in grams. U is hops utilization expressed as a percentage, taken from one of several available hops utilization tables. A is the alpha acid percentage of the hops being used. V is wort volume, in liters. Where G(b) is the specific gravity of your boiled wort. Whichever method you use, it’s worth noting that IBU can only tell you how bitter your wort or beer will be, and not what kind of bitterness it will have. Important: Despite their bittering and antibacterial superpowers, alpha acids can undergo another, less desirable chemical transformation if they’re exposed to light during fermentation. When iso-alpha acids combine with the riboflavin (Vitamin B12) in wort, exposing them to light will skunk your beer faster than you can say, “Yeesh, what’s that smell?” Keeping your wort in a dark place while it ferments and conditions, or using dark glass bottles If you click this link and make a purchase, we earn a commission at no additional cost to you. , will help you avoid the Pepe Le Pew effect. Compared to alpha acids, most hops contribute relatively low levels of beta acids to beer. Beta acids form another trio of compounds: Lupulone, Colupulone, and Adlupulone. They have quite strong antiseptic properties. They also add a smaller amount of bitterness to the mix, but it’s much sharper. This bitterness comes from a different source than the primary bittering produced by alpha acids. Beta acids oxidize, or react with oxygen, in beer over time. This can create subtle (or not-so-subtle) changes in the flavor of beer that’s stored for a long time, such as lagers. Rich in both scent and taste, these oils are a flavorful but volatile component of the hopping process. Many boil off in just minutes, so in order to add the uniquely floral, spicy, earthy or citrusy flavors they bring, you can add more hops during fermentation. Humulene contributes strong, hoppy flavors when added late in the boil or during fermentation. It has the longest-lasting impact on both flavor and aroma. Myrcene is especially prevalent in hops grown in the United States, and adds citrus and pine aromas and flavors to beer. Caryophyllene is known for producing a “spicy” scent and flavor. Farensene is the least present of the essential oils in most hop varieties, and doesn’t contribute much aroma or flavor to finished beer. Traditionally, you’d add hops to the wort during the first boil, before fermentation, to extract bittering compounds and harness the plant’s antiseptic qualities via isomerization. The process can take anywhere from 45 to 90 minutes, depending on the desired profile. Because boiling destroys the essential oils and the delicate flavors they impart, adding hops in the final five to fifteen minutes of the boil, or alternatively, after the wort’s been boiled, can enhance aroma and flavor without adding significant bitterness. You can also add dried hops (or hop extracts) late in the fermentation or conditioning phase using a process called dry hopping. By waiting until bubbling has stopped, you can prevent the flavorful essential oils from being carried away by carbon dioxide. A variation called wet hopping uses fresh, rather than dried, hops to add aroma and flavor, but is otherwise identical to dry hopping. In addition to adding aromas and flavors, dry hopping can also increase beta acid levels in your finished beer, combatting spoilage while also increasing bitterness over time. Another hopping process known as first wort hopping can reduce the risk of boil-over while potentially boosting the hoppy flavors in your finished beer. Rather than wait until fermentation, you add hops to the brew kettle If you click this link and make a purchase, we earn a commission at no additional cost to you. as the wort transfers from the lauter tun. Sticking to hops with low concentrations of alpha acids If you click this link and make a purchase, we earn a commission at no additional cost to you. is best for first wort hopping. They’re in the kettle longer, so a lower concentration of acid keeps the additional bitterness they contribute at reasonable levels. Now that you’ve brushed up on your beer-based botany and hopping techniques, you can give your full attention to the master list of hop varieties, carefully collected from around the globe. For brewing purposes, hops are readily broken into three categories: bittering, aromatics, and dual purpose. Like the notes of a delicate sonata or the application of spicy mustard to a well-grilled bratwurst, each has their part to play in creating your beer’s flavor and aroma. After you’ve familiarized yourself with each category, get ready to dig deep. Check out the spreadsheet we’ve built containing not only all hop varieties (and their particulars), but yeast varieties, brewing malts, extracts, and adjuncts, too. ( also called Columbus If you click this link and make a purchase, we earn a commission at no additional cost to you. or Zeus), Nugget If you click this link and make a purchase, we earn a commission at no additional cost to you. , and Bravo If you click this link and make a purchase, we earn a commission at no additional cost to you. hops are excellent bittering hops produced in the United States. Higher in oils than their bittering kin, these hops introduce notes of grass, fruit, earth, honey, flowers, and spice to your beer. In general, hops from North America tend to be more aromatic than their European counterparts, although noble hops are an obvious exception. 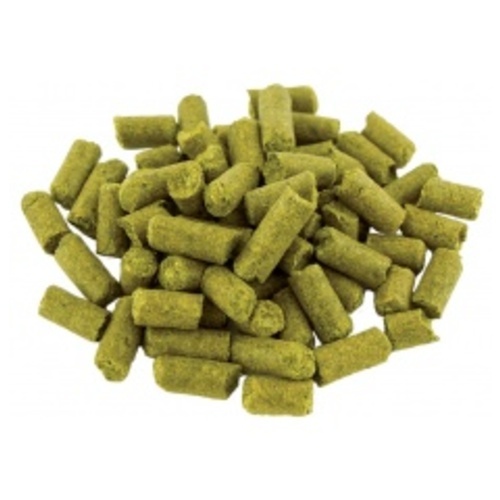 Flexible and balanced, these hops can be used to add bitterness in the boil or added after for flavor and aromas. They come from a variety of sources around the world. 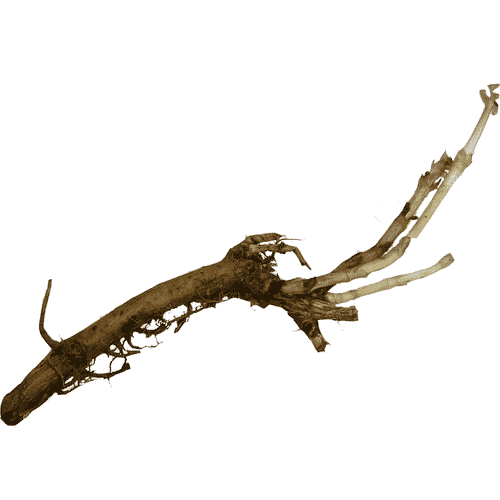 Saaz If you click this link and make a purchase, we earn a commission at no additional cost to you. , Tettnanger If you click this link and make a purchase, we earn a commission at no additional cost to you. , Spalt If you click this link and make a purchase, we earn a commission at no additional cost to you. , and Hallertau Mittelfrüh If you click this link and make a purchase, we earn a commission at no additional cost to you. . They tend to have more essential oils (particularly Humulene) than run-of-the-mill hops, and you’ll likely pay a bit more for these cherished heirloom varieties than you will others. Like true Champagne, noble hops are valued for their origins, since the soil they grow in gifts each with a unique blend of spice, aroma, and finish. All four varieties are classified as aromatic hops, but Tettnanger’s subtle flavor gives it some leeway for use as an effective bittering hop as well. The curtain has been peeled back, and the once-mysterious hop no longer holds any mysteries for you. Like a master chef, you’re ready to choose and use the perfect hops to tweak flavor, aroma, and finish. Whether you want to sharpen the bite of your English bitter or whip up a fruity, lemony lambic, choosing the right hop varieties will help you achieve your beer making—and enjoying—goals.